Miguel Lara, founder and CEO of 3L RE Group Inc with Keller Williams Realty Claro que hablo Español!!! 2016, 2017, 2018 Masters Club - Central Valley Association of Realtors® Serving San Joaquin and surrounding California counties. Integrity and always doing the right thing… many say it, Miguel Lara lives and breathes it. He has been full time with Real Estate since 2008 and has helped people just like yourself to buy and sell several hundred homes, investment properties, and commercial buildings. Above and beyond guiding you through your transaction, some things you can be assured to receive from Miguel: · The Honest Truth—good or bad · Ideas to help you make a better choice · Ways to look at things you hadn't even thought of · The Pros and Cons of something you are considering · Letting you know when you need to consult legal or financial counsel And ALWAYS… The Numbers! 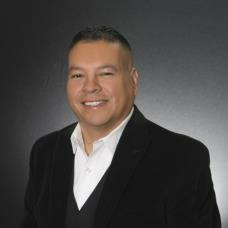 Miguel will make sure you understand the numbers to make the best financial decision for your transaction.